Increasingly, citizens expect internet access to public information. We are now offering web sites designed to address the public's need to access information from Oklahoma county assessors. Counties shown in gold are hosted by KellPro Inc.. Counties shown in green also have searchable sites and are linked here for your convenience. 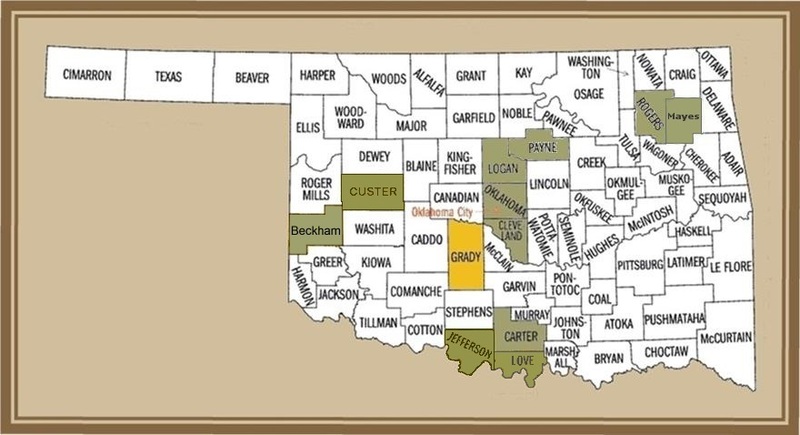 Click on a shaded county to be directed to its website.